What’s the Shelf Life of Star San? With regards to mixed Star San Solution: The official answer is probably… you should mix a fresh batch each time you use it. To really test the effectiveness, you need to titrate the solution and test the PPM. Practically speaking, many homebrewers use and re-use Star San. If you’re going to do that, the solution should be relatively clear and the mixture should have a pH of under 3.5. Previously the recommendation I received from Five Star Chemicals was that the solution should by crystal clear, however, for bottles of Star San not older than 1 year (check the manufacture date on the bottle) crystal clarity isn’t necessarily a requirement. 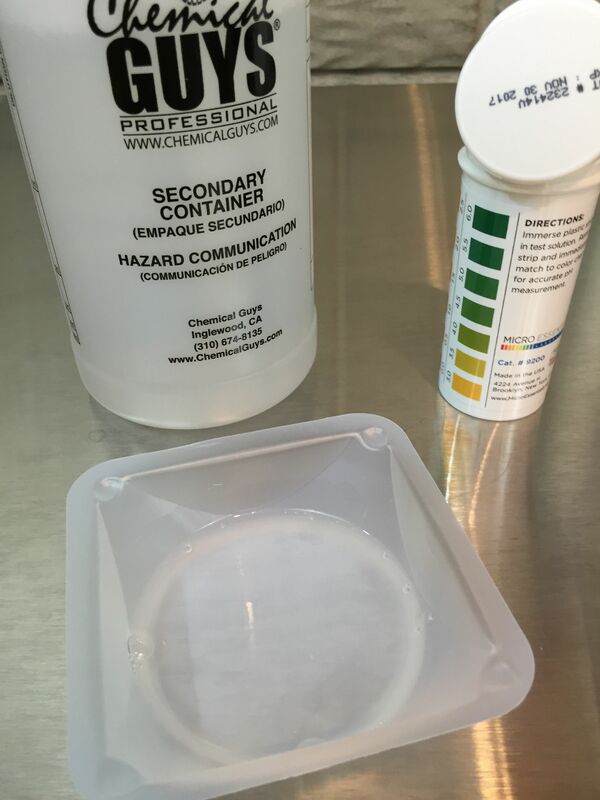 Previously testing the effectiveness of diluted Star San involved two things… Crystal clear solution and pH under 3.5. My personal opinion (not official) is that crystal clear Star San is preferable to cloudy Star San. If you have hard water and your diluted Star San mixture immediately turns cloudy, and you want it to be clear, you can use RO or distilled water. With regards to Star San concentrate: Five Star Chemicals recommends replacing bottles of Star San concentrate that are over 2 years old. – via Emily Lovato at Five Star Chemicals. What size to buy? Because of the 1 or 2 year freshness recommendation via Five Star, my recommendation to most homebrewers is to purchase the smaller 8 oz bottle of Star San. If you’re using the spray bottle method [See: Star San Tips, Tricks and Guidelines] 8 ounces of Star San should last many homebrewers for at least a year. My reasoning on the 8 oz recommendation is… why buy a larger bottle that you won’t be able to get through before it needs to be replaced? There’s a calculator in my tips post to help you estimate your usage. Testing pH question involves using either a pH meter or strips. The pH meter option is straightforward [See: Amazon’s Best Sellers in Lab pH Meters]. pH Meters can be costly and do require calibration, maintenance and, eventually, replacement. Because of that, I wanted to find pH strips that work well for this task. I ended up trying a few different styles and manufacturers before finding strips that I think work well. I wanted something easy to read and use that featured a color chart reading right at 3.5 pH. Here is the scale for these strips. It shows .5 pH increments from 0.0 to 6.0. Directions: Immerse plastic strip in test solution. 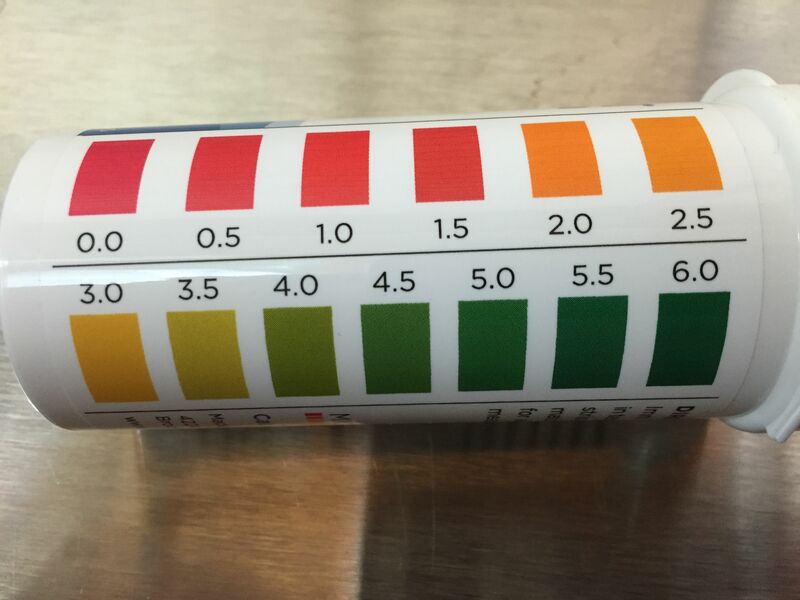 remove strip and immediately match the color chart for accurate pH measurement. These are also made in the USA. The container features a flip top cap for easy access and storage. 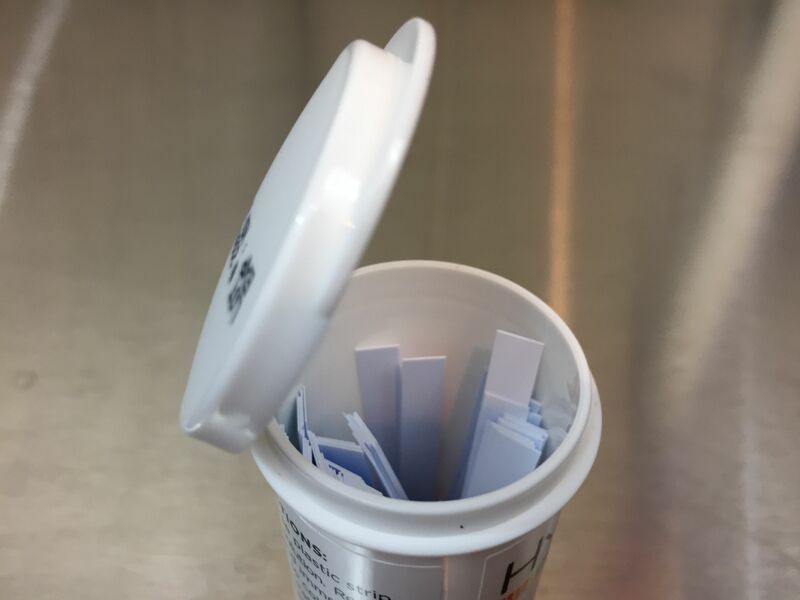 These strips are a bit stiff so that are easy to stick in solution and read. You get 100 strips. If you wanted to, you could probably trim these strips in half to make them last longer. I poured some Star San Solution from my go-to sprayer [Chemical Guys ACC130 Chemical Resistant Heavy Duty Bottle and Sprayer – Review] for testing. I’m using an SEOH Weigh Boat to hold the sample. Results: The Star San Solution should be more yellow/orange than the yellow/green that’s shown for pH 3.5. 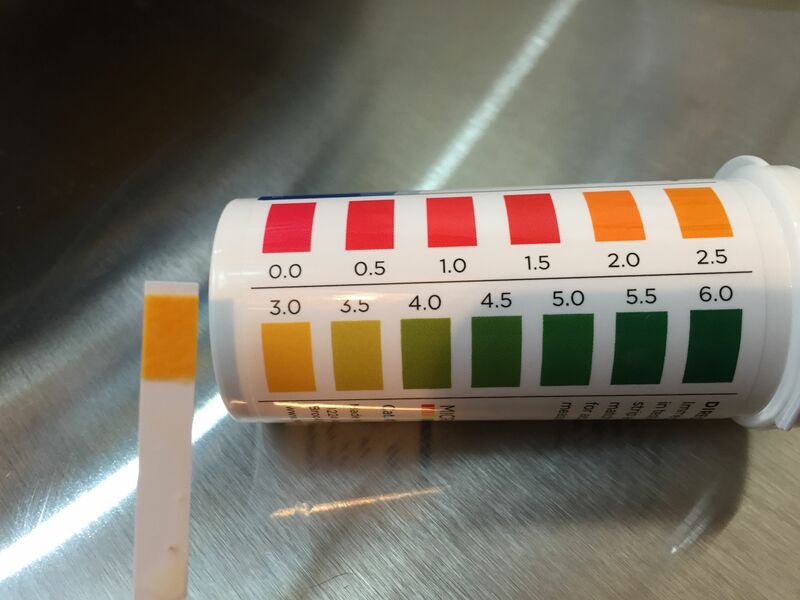 Anything that’s more yellow, orange or red indicates a good pH reading. I would say this strip shows a good reading somewhere between 2.5 and 3. This is a straightforward thing to do. 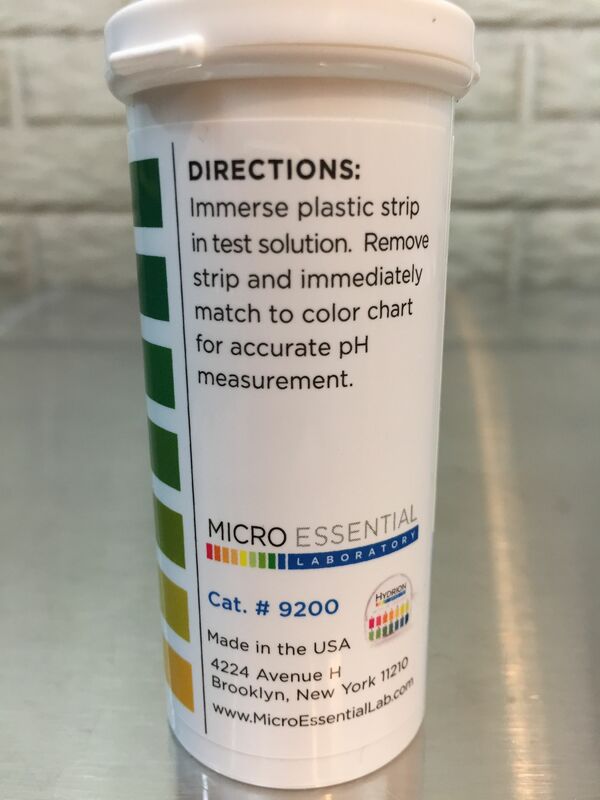 The biggest trick is finding pH indicator strips that work well, have a test point at 3.5 pH and are easy to read. 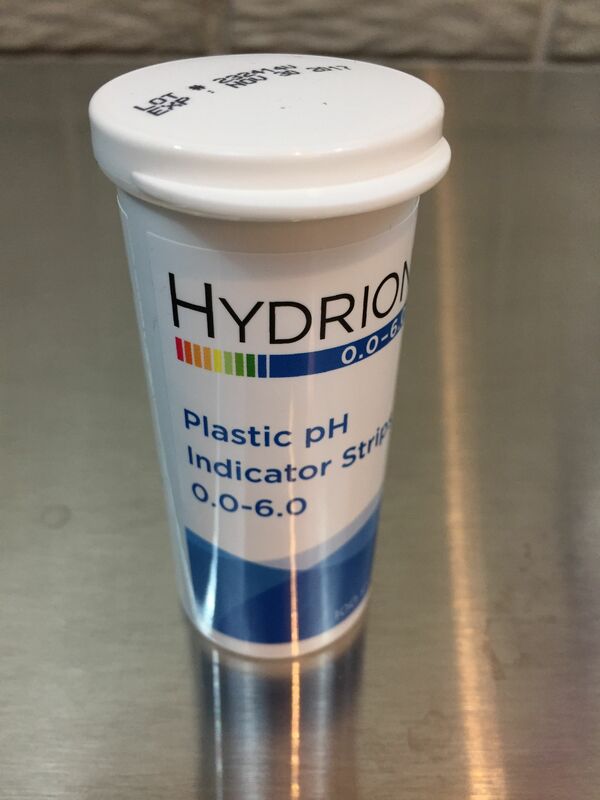 Hydrion Pro pH Strips catalog #9200 fit the bill. This entry was posted in Amazon, ig, pH, Reviews & Top Posts, Sanitation, Star San, Top Posts on January 19, 2016 by admin. Thanks guys. I appreciate your comments. I’ve kept StarSan (diluted) in a donut glaze bucket for 3+ months without any damage that I could see or feel. More likely the residue is from using water with a high mineral content. Most tap water has a significant mineral content which can make the solution cloudy. Especially if you let the solution sit for a while. The cloudiness can leave a residue on anything you leave sitting in the solution. So you would notice it is you left say a plastic spoon in the bucket. It’s all harmless. It’s not the plastic breaking down. In fact most people mix a small amount of Star San and put it in a spray bottle for long periods of time to make it last longer. The best advice if you are going to store a mixture of the solution for a period of time is to mix it with distilled water.